Franciscan Focus: Anyone know where can I find this artwork? 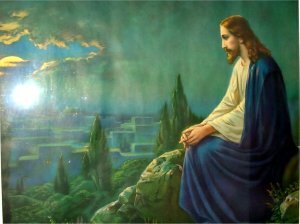 Husband Mike and I saw this painting (click for larger) hanging in a retreat center and we would love to buy a copy. But, after tons o' lots o' searching, I've found nothing. Zip. Nada. Zilch. NOTE: The white circle in the left is from glare; it's not part of the art. Also, this picture is not as wide as the actual piece; this is cropped a bit. While recently browsing through a Catholic bookstore, we did find a way smaller cropped version with a price sticker on the back that simply said, "Jesus Overlooking Jerusalem", but nothing more. So, I'm desperate and am tossing this out into the Interwebs in the hopes that someone, somewhere can point us in the right direction. If you can tell me anything at all about this piece and where I can buy a copy, I'd be eternally grateful! Update: Just after posting this, pals pointed me in the direction of several sources. 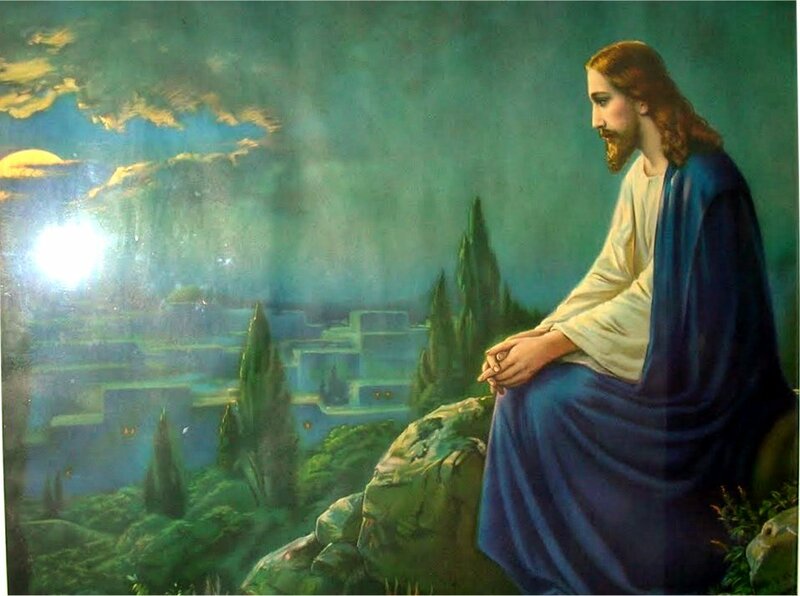 The title is, "Christ on Mount Olive", and the artist is listed as "Giovanni".